Drones are trending technology in today’s market. The formal name of drones is the Unmanned aerial vehicle(UAV). There are several reasons why drones are the topic of the year. Some of the drones called toy drones are explicitly for beginners and children. By the camera drones, can expect excellent photography and videography. Even the drones are used for racing, and they are called as racing drones. The size of the drones varies for different models of drones. The drones are portable, and they can easily fit either in the pocket or even in hand. Drones are available for the low price which we can afford in our budget. The price matters in this instance, I am happy to say that these beginner Quadcopters are available for cheap. Here are the top 5 Best Small and Nano Drones and their detailed features. The small and nano drones are economical and resistant to crashes. These small and micro/nano drones vary in sizes and give their best performance. 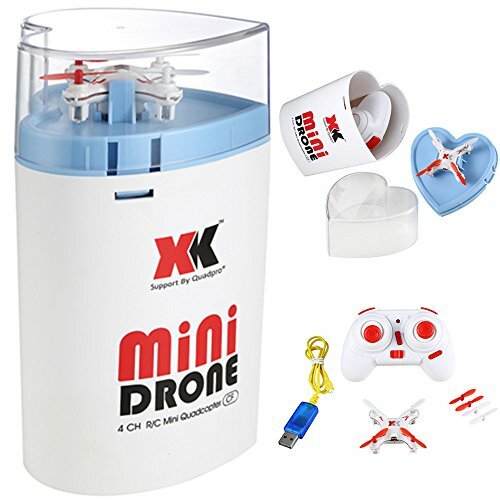 If you are a novice, then you can start flying the drones by these small and microdrones which are durable. You should always fly these UAVs in your eyesight. Otherwise, there are chances of losing the drone. Hubsan Q4 H111 is the best mini-drone in the world’s market. We can have an amazing outdoor flying experience. This Hubsan is very durable, stable and very fast. By the 360-degree eversion flips, we can perform amazing tricks and can stun the people out there. When the drone is crashed, the propellers automatically come out. Hubsan has high resistance to winds by the 6-axis gyro. The bright LED lights make the drone visible at night times. We can easily fly the drone by the 6-axis stabilization. 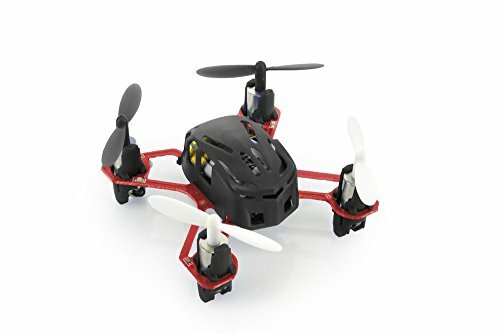 This drone is extremely durable because the drone can withstand after several crashes. We can have a better visual aid of quad at night times by the candy bright LED lights. The users can have a different flying skillset by the 3x rate control. We can carry the drone in the pocket. Easy replacement of Battery and motor of Hubsan. The propellers are difficult to find when they automatically come out from the drone after the crash. We have to install the propellers again after the accident. One of the best little drones is CX-10 Cheerson. The drone can keep fixed directions whatever the orientation is, by the “Headless Mode.” The drone forward commands are simple, but the user has to adapt the reverse controls. This UAV is very portable so that we can easily carry it in our pocket. The charging of the drone can be done through USB of computer or USB wall charger. Two blue and two red LED lights are used to warn us of emergency conditions. Flight time is very less. We cannot replace the battery. Everyone can in its range watch it because of its open wifi. We can control the drone only through the drone. The FPV signal has a one-second delay. Hobbico is the largest producer of the innovative products. We can easily afford this Heli-Max ISQ V-CAM RTF Quadcopter model. The vehicle is also included with the high-end radio transmitter. The company says that this Quad is suitable for both novice and beginners. We can fly the drone both indoors and outdoors, and we recommend you to fly the drone indoor for the first time. To keep the device centered and the level we use three axis accelerometer and gyro. Heli-max is stable to fly. 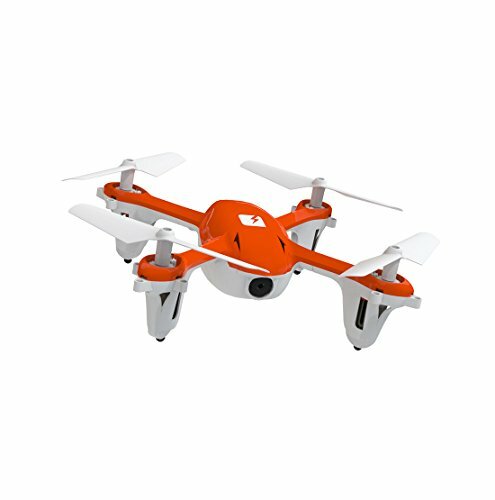 This drone is very simple so that beginner also can fly the drone quickly. 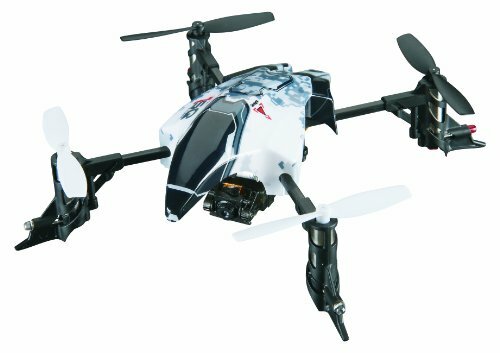 By the pre-programmed trick-features, we can easily perform tricks by this Heli-Max drone. The drone has an inbuilt camera and included micro SD card. The battery life is very less. Charging time is the little bit more, i.e., 20 minutes. Camera quality is not upto the mark. 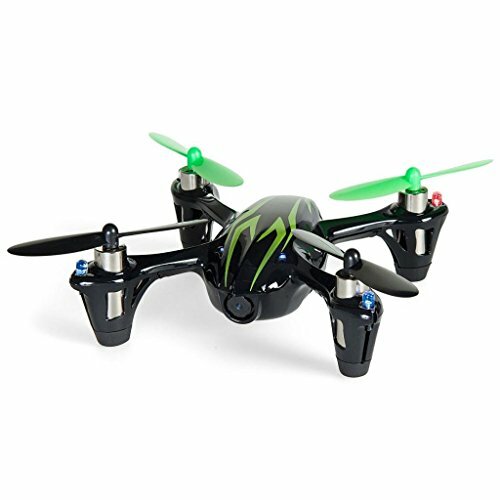 The Hubsan X4 H107C UAV is a Mini Quadcopter which is easy to fly. We can record a high-quality video of 720p. This drone also has excellent camera quality of 2MP. Normal and Expert are the two flying modes. Normal mode is for beginners to limit the loss of damage. In Expert Mode you can access the drone with high speed and can enjoy the flying experience. Can capture high-quality images by 2MP camera. We can use Normal Mode which is perfect for beginners. This is durable flyer because of its propeller guard. If you do not shut off the camera before turning the Quad, your video may be lost. We can only turn the camera on or off when the UAV is on ground. 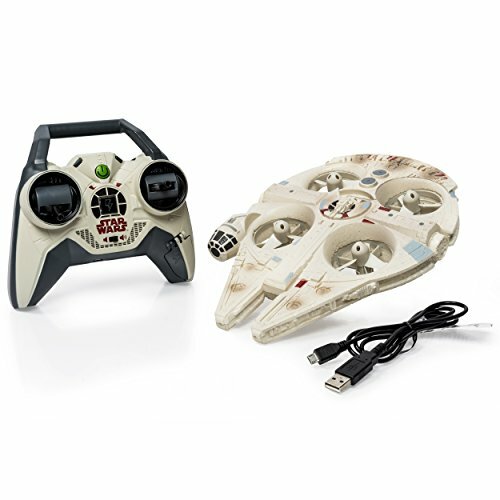 The Air Hogs Millenium Falcon Quad is one of the smallest drones in the today’s market. The kids most like this drone because of its design. The star wars fans will love it like anything with excitement. Overall the drone is very prone to damages of crashing because of its design. You cannot replace the batteries because it is sealed inside the foam body. The AirHog Millennium is less expensive and more capable toy drones. The batteries can be charged via USB. Star War sound effects are one of the unusual features. To avoid damage we have ducted fans to protect motors and fans. It has the capability to land on walls and ceiling. Flight speed is very slow. We cannot perform any stunts. Interchange of the battery is not applicable. Spare parts are not available. The Estes Proto X Nano is one of the best nano drones because of its design which can fit in the palm. This multi-rotor copter aims to fly indoors, and it can zip, zoom and fly just above anywhere. Because of its plastic material, it is very durable. Using the USB cable, the Drone is charged in just 30 minutes. This drone is ready to fly package, and we need just to install the 2 “AAA” batteries. Estes Drone is easy to fly. This UAV is very portable and small that it can fit in the palm of hand. Estes Proto X Quadcopter is a lightweight drone. A beginner can easily understand and fly the UAV. Built-In bright LED lights help us to get a better aid of the Estes Pro Quadcopter. Flight time is very less, i.e., 4-6 minutes. 40 minutes recharge time is more compared to other drones. 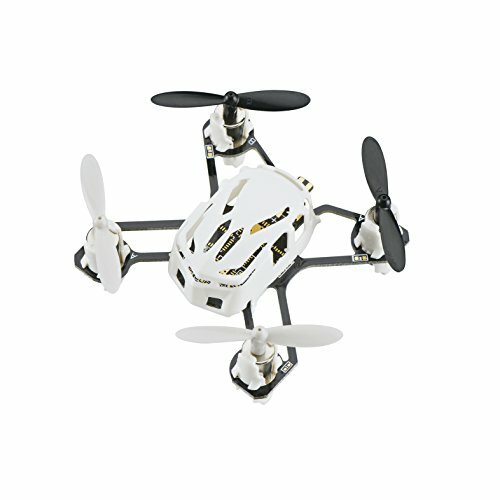 The 360 degree flip mini drones design is combined with good looks and upright performance. The material of the drone makes its durable even after many crashes. The LED lights make the drone more visible at night time. The drone is resistance to moderate winds. The Quadpro is very fun and easy to fly the drone. If we consider the Quads size, it has very decent battery life. The quadcopter has excellent charging time. Quadpro has a very rare feature, i.e., sensitive adjustable button. The performance of drone is reduced in outdoor. During take-off, it can quickly crash. The Syma X12 is an ultra-small drone that can fit in our palms. 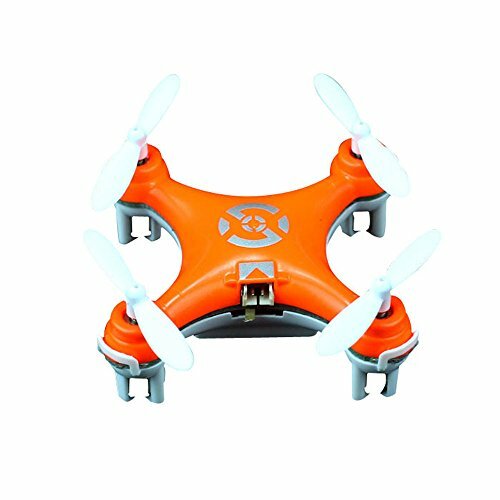 Syma X12 Mini Nano 6-Axis Gyro 4 Channel RC Quadcopter is a light-weight drone which weighs 13.3 grams. There are three colors in LED lights to warn us and to better vision in night times. This UAV is the perfect model for beginners because the controls of the drone are very comfortable. The drone is capable of providing fun, aggressive and high-speed flying sessions. The price is so economical that everyone can afford the Quadcopter. The Syma X12 is capable of 360-degree eversions. We can observe fast performance in Syma X12. 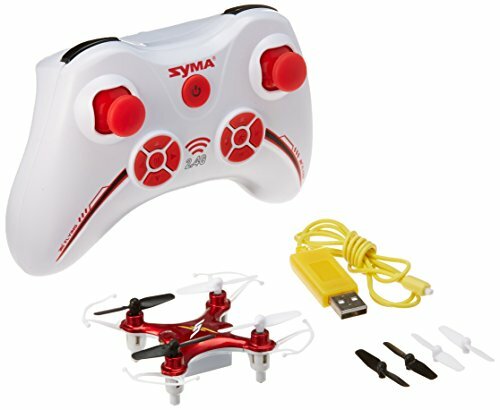 This Syma is the excellent beginner drone. Hovering the drone in fixed point is impossible. 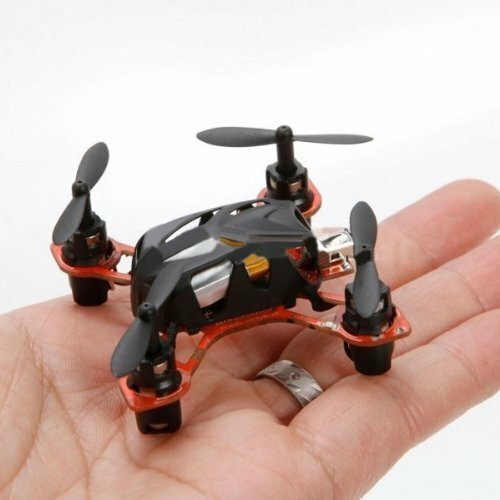 The WL Toy V272 is a micro quadcopter which comes with a hobby grade transmitter. The size of the drone is tiny that it can fit in our palm. As the material of quad is made of the cheap plastic, the Quad is so fragile. When we use the Speed mode, we can observe an outstanding flight performance. We can adjust the speed of the UAV by the transmitter. The WL Toys is of low price which we can afford in our budget. If you have a hobby in flying the drones then this the best option for you. This WL is a durable and efficient drone. The design is not upto the mark. The yaw rate is slow. SKEYE Mini Drone with HD Camera has a front mounted camera with video function. The drone has one year warranty, and we can experience bird view of our flight. By the camera installed in the drone, we can experience stunning clarity of the world like never before. The four substantial propellers help us to show off our flying tricks and skills. Even a beginner can easily understand the drone and can fly it in 5 minutes. The three flight modes are of great use. It is available for low price. The LED lights give us a better view of UAV at night times. One year warranty is provided to the drone. No FPV or app controller. Thank you for viewing this review for best small and nano drones. I assume that all the related info regarding these quadcopters is attained to you. Small and Nano drones are available for low cost and also durable UAVs. As the drone technology is quite improving day by day we are here to let you know the information about the evolving technology.